Sanders converted his only field-goal attempt and made both extra-point tries during Sunday's 42-17 loss to the Bills. He finishes up the year with 89 points over 16 games. Analysis: Sanders caps his rookie season with a typical performance: accurate, but lacking in volume. 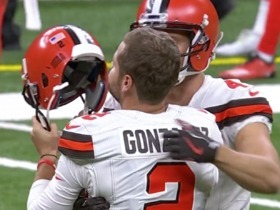 The 23-year-old made 90 percent of field goals he attempted this year (18-for-20) and converted 97.2 percent of his extra-point tries (35-for-36). 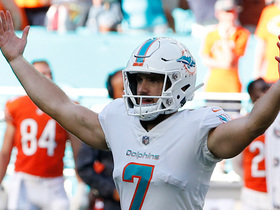 The 2018 seventh-round pick is expected to remain the Dolphins' top kicker in 2019, but he'll largely remain off the fantasy radar until such time as Miami's offense transforms into a higher-scoring unit. 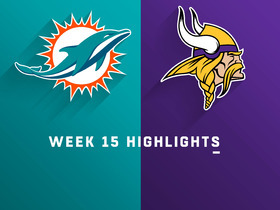 Sanders made his only field-goal attempt and converted both extra-point tries during Sunday's 41-17 loss to the Vikings. 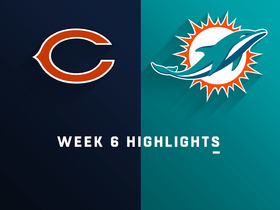 Analysis: Sanders never had a large workload Week 15, as the Dolphins found themselves down 21-0 midway through the second quarter with the game quickly heading into blowout territory. The rookie remains off the fantasy radar heading into a Week 16 matchup against the Jaguars but will look to continue building upon what has been an impressive season. Sanders has not missed a kick in seven straight games. Sanders did not attempt a field goal and converted all four of his extra-point tries during Sunday's 34-33 win over the Patriots. Analysis: Sanders has now gone two straight games without attempting a field goal. Despite the Dolphins scoring a season-high 34 points, Sanders did not see a large enough workload to achieve fantasy relevance. The rookie does not warrant fantasy consideration outside of deeper leagues, irrespective of his solid accuracy. Sanders did not attempt a field goal and converted all three of his extra-point tries in Sunday's 21-17 win over the Bills. Analysis: Sanders has not missed a kick in five straight games, but he does not see the workload necessary to achieve fantasy success in the Dolphins' low-scoring offense. The rookie is a lower-tier fantasy option heading into a Week 14 divisional tilt against the Patriots. Sanders made his only field-goal attempt and converted all three extra-point tries during Sunday's 27-24 loss to the Colts. Analysis: Sanders has not missed a kick since Week 7. Amidst a Dolphins offense that has been unreliable week to week, Sanders has been a welcome source of stability. He'll look to continue building upon what has been a promising rookie campaign during the Week 13 tilt against the Bills. Sanders made all four of his field-goal attempts, accounting for the Dolphins' only points in a 12-31 loss to the Packers. 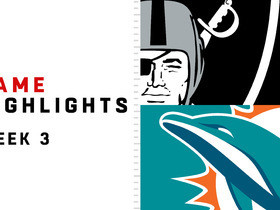 Analysis: Sanders was the beneficiary of Dolphins' drives that stalled past midfield Sunday. His longest attempt was a 47-yard field goal that he knocked through the uprights with ease. He's hit on 94 percent of his field goals through 10 weeks, making for an impressive rookie campaign. He and the Dolphins have a bye in Week 11 before taking on the Colts in Week 12. Sanders converted both field-goal attempts and made his sole extra-point try during Sunday's 13-6 win over the Jets. Analysis: Sanders accounted for more than half Miami's total points during the Week 9 win while logging another flawless performance. 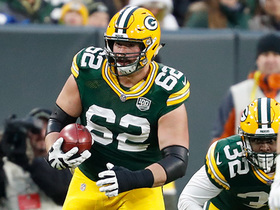 The seventh-round pick will look to continue building upon an impressive rookie campaign against the Packers on Sunday. 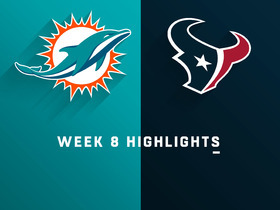 Sanders made all three of his field-goal attempts and both his extra-point tries in Week 8 versus the Texans. Analysis: Sanders converted from 37, 41 and 46 yards on his respective three field goals. His 11 points tied a season high, bringing his total to 46 through eight appearances. Sanders missed his only field-goal attempt and converted all three extra-point tries during the Dolphins' 32-21 loss to the Lions on Sunday. Analysis: Sanders missed his first field goal of the season in Week 7, having converted his prior six attempts. Despite his accuracy, Sanders does not receive the necessary volume to warrant fantasy consideration outside of deeper leagues. Sanders converted on all three of his field goals from 25, 47 and 50 yards in Sunday's win over the Bears. Analysis: Sanders played a key role in the Dolphins' surprising win Sunday, as his third and final kick was the team's game-winner in overtime. It was by far Sanders' most impressive performance of the season, but the Dolphins' offense hasn't allowed the kicker to get consistent work so far this season, making him a less desirable fantasy option. Sanders made his only field-goal attempt and both of his PATs during Sunday's 27-17 loss to the Bengals. Analysis: Though Sanders is perfect on field goals for the season, the rookie kicker has just three attempts, making him undesirable in fantasy leagues. Unless his opportunities dramatically increase, explore other kicking options. Sanders converted his only extra-point attempt in the Dolphins' 38-7 loss to the Patriots on Sunday. Analysis: Sanders simply did not receive scoring opportunities in Week 4 thanks to an inept showing from the Dolphins offense. Though the rookie kicker has shown reliable accuracy this season, it seems unlikely that he'll receive the volume necessary to serve as a top fantasy option. Sanders converted all four of his extra-point attempts in Sunday's 28-20 win over the Raiders. Analysis: Sanders did not attempt a single field goal. Despite showing reliable accuracy thus far, Miami's offense doesn't seem likely to offer Sanders the volume needed to serve as a top fantasy option at the position. The rookie will look to build upon an impressive beginning to the season in Week 4's matchup against the Patriots. 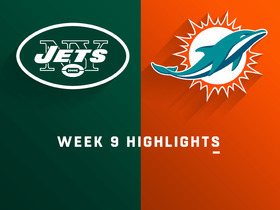 Sanders did not attempt a field goal and missed one of his three extra-point tries in Sunday's 20-12 win over the Jets. Analysis: Sanders was perfect while scoring nine points in Week 1, so he'll be disappointed by Sunday's letdown on his third and final extra-point opportunity. The rookie will look to clean things up this weekend versus the Raiders. Sanders converted both field-goal attempts and all three extra-point attempts in Sunday's victory over the Titans. 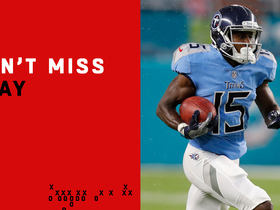 Analysis: Both of Sanders' field-goal attempts were short (27 yards and 30 yards), but his Week 1 performance was nonetheless encouraging for the rookie seventh-rounder. Sanders appears to be a middle-of-the-road fantasy option against the Jets on Sunday. Sanders is set to open the regular season as the Dolphins' kicker so long as he doesn't endure significant struggles during Thursday's preseason finale against the Falcons, a source informed Armando Salguero of the Miami Herald. 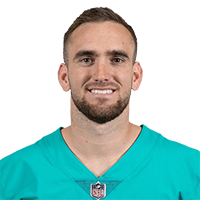 Sanders is currently the Dolphins' first-string kicker but will battle with fellow rookie Greg Joseph this preseason, Joe Schad of the Palm Beach Post reports. Analysis: Sanders was selected in the final round of the 2018 NFL Draft after boasting a strong leg during his time at New Mexico. Sanders' first opportunity to prove his worth as the team's No. 1 kicker will come in Thursday's preseason opener against Tampa Bay, but Joseph, a rookie out of Florida Atlantic, should also get his fair share of kicks Thursday night. Miami Dolphins kicker Jason Sanders nails a 47-yard game winning field goal.